The Gulf Coast of Florida boasts spectacular beachfront, so when you are planning your next outing from Lakewood Ranch and Venice, take a look at our guide for some the favorite beaches in the Sarasota County area. You’ll quickly begin enjoying the balmy Gulf of Mexico waters and beautiful white sand beaches. Feel free to contact us if you have any questions! Coquina Beach is part of Bradenton Beach, is located on Anna Maria Island about 30 minutes outside of Sarasota. Enjoy the vendor’s market on Wednesdays and Sundays, and buy peanuts to feed some squirrel friends on the beach! Siesta Beach is about 7 miles south of Sarasota. Located on Siesta Key, this beach is ranked by many among America’s Best Beaches. Enjoy pristine white sand, and walk a short distance for a selection of restaurants and coffee shops in Siesta Key Village. Also on Siesta Key a little further south, Turtle Beach is less than 10 miles from Sarasota, and a great choice for active families, with picnic areas for lunch, and spots for launching boats and kayaking. In between Ana Maria Island and Siesta Key on the stretch of barrier islands near Sarasota is Longboat Key. It is home to some public beaches and public piers as well as seaside cottage vacation rentals right on the water. At the very northern tip of Longboat Key is Beer Can Island is a sand bar reachable by boat, with powdery sand and relaxed vibes. There are several Lido beach options to choose from on Lido Key, just a stone’s throw away from Sarasota on the 709. South Lido County Park with both waterfront and inner swimming areas, as well as trails, birdwatching, and more. 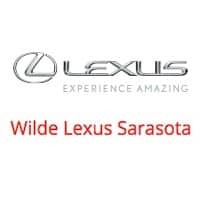 Learn more about the area by exploring some of the best restaurants in Lakewood Ranch, or come visit us from Bradenton for all your automotive needs!